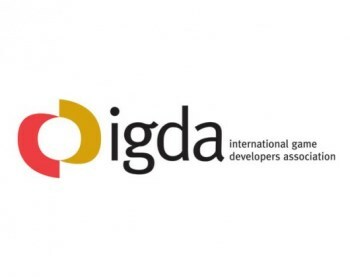 IGDA Issues Industry Event "Ground Rules"
The International Game Developers Association says its new guidelines for industry events will help it steer clear of the ugliness that marred the 2013 Game Developers Conference. The IGDA made the wrong kind of splash with its Game Developers Conference party last month by enlisting several female dancers in "skimpy" outfits as part of the entertainment. Board member Darius Kazemi resigned in protest, as did Brenda Romero, head of the IGDA's Women In Games SIG, who said that staying silent on the matter "would have been complicity." To say it reflected poorly on the IGDA would be a serious understatement, but the group has taken steps to (hopefully) redeem itself by publishing a new set of basic ground rules that will govern its participation in future industry events. First and foremost, its primary focus will be on "networking events" rather than parties, and it will "encourage inclusion and diversity" to ensure that everyone present feels comfortable. It also promises to be more careful about who it partners with in co-sponsored events; the IGDA had earlier shifted much of the blame for the GDC debacle onto party co-organizer Yetizen. Executive Director Kate Edwards also took a "walk out and talk about" pledge for non-IGDA events. "Quite simply, if I attend an event and find the content to be contrary to the IGDA ideals, regardless of the potential value of being present, I will leave the venue," she wrote. "However, I won't do so without informing the sponsors/organizers of my reasons for walking out - both at the party and afterwards. I will always be respectful in my feedback; organizers are far more apt to listen to constructive recommendations over reactionary words. I'm hoping if enough people join me in this approach, companies and organizations will realize that the time for change has come." I won't say the commitment is overdue, but it's certainly welcome. I like a jiggly, booze-fueled blowout as much as the next straight white guy, but it doesn't (or shouldn't) take months of sensitivity training to realize that not everyone shares that feeling or wants to partake in it, especially when it comes to professional industry events. It's unfortunate that published guidelines are necessary for what should be a matter of straightforward common sense, but since that appears to be the case, props to the IGDA for laying them out. But the important part is what comes next: will it follow through, or will it just end up issuing another round of apologies this time next year?